Summary: Kolkata Knight Riders won the toss and elected to field. KKR restricted Rajasthan Royals at 160 for 8. Royals’ opening batsmen Ajinkya Rahane and Arcy Short scored 36 and 44 runs respectively. 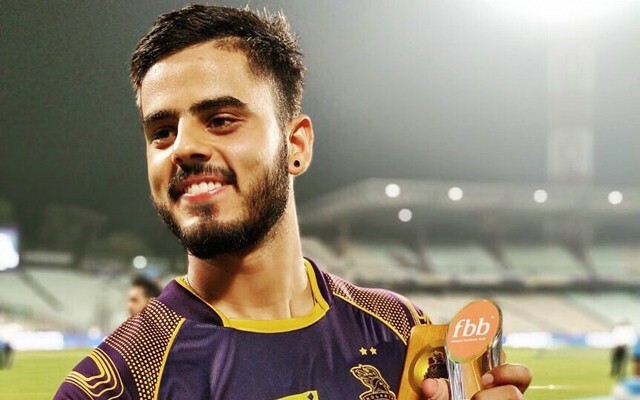 KKR’s Nitish Rana and Tom Curran ended up with two wickets each. In response, KKR achieved the target at 18.5 over with loss of just 3 wickets. Uthapa and Karthick scored 48 and 42 whereas both Narine and Nitish scored 35 each. The only bowler from Royals to get success with wickets was Gowtham who ended up with 23 for 2 in 4 overs. KKR won the match against RR by 7 wickets held at Sawai Mansingh Stadium, Jaipur on Wednesday. Royals started off cautiously with Rahane and Short playing safe. However, the Royals’ Skipper Rahane started hitting the balls but eventually got out at 36 off 19 balls in the seventh over. Short could score 44 off 43 balls and finally got dismissed by Rana. No other batsmen could stay long enough in the crease and RR could manage just 160 for 8 at the end of 20 overs. 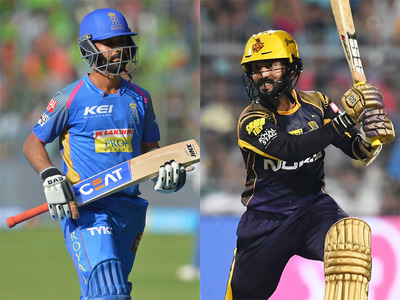 The bowlers of KKR did a good job as most of them were able to keep the ER below 10, except Narine who turned out to be comparatively expensive ending up with 48-0 in 4 overs. Despite losing their opening batsmen Chris Lynn in the first over itself, KKR played comfortably during the entire innings. All other 4 batsmen who came to crease scored well with Narine and Nitin Rana both contributing 35 each. Uthapa played well scoring 48 off 36 balls with the help of 6 fours and 2 sixes whereas the KKR skipper remained unbeaten at 42 hitting 2 fours and sixes each. Nitish Rana was declared as Player of the Match for his all round performance. At the end of the match, it was a comfortable win for the KKR. With this the KKR registered their 3rd win out of 5 matches and currently stands at the top of the points table.